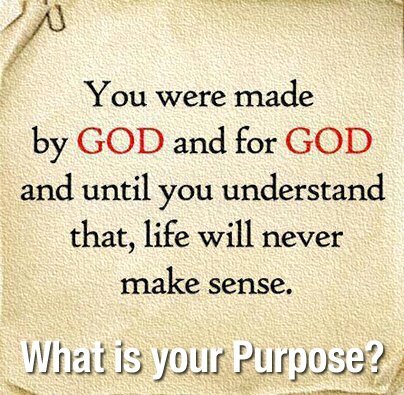 First Love Missions: God Has a Purpose for You! When Moses lead the Israelites out of Egypt to the promised land, the people found the going tough, with challenge after challenge, even though God was providing their every need and protecting them as they went. They actually wanted to turn back and return to slavery in Egypt rather than face the challenge. They lacked faith to accept that the promised land was filled with everything that God had purposed for them - they were so completely focused on the visible circumstances in front of them that they just wanted it to end. There are so many Christians today living like Israelites, wandering aimlessly in circles with no direction, no vision of the purpose or promise that God has for them. When challenges come up, they focus entirely on the visible circumstances and run back to some less painful and familiar place. They actually feel abandoned by God and get angry with Him, when it was they who abandoned their faith in Him. Stop living in the wilderness! Take hold of the purpose God has in your life and focus on the promise! Stop eating manna when God has milk and honey right in front of you! Take faith in God and seize your mission! 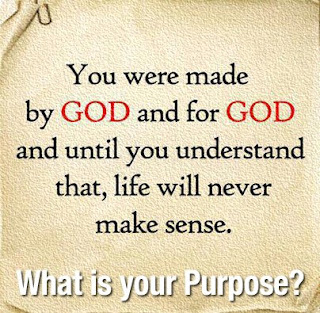 God has a purpose for you! ~ Be Blessed and be a Blessing!